What does that title mean? It means this incredible gold crystal has it all. This is a very well defined faceted and hoppered gold crystal from the jungles of Venezuela. The specific location is Zapata, just outside of Ikabaru, near Santa Elena de Uairen in Venezuela. This gold crystal has many nice faceted sides on various shaped gold crystals, elongated faceted octahedrons, and two gorgeous gold wires with fluting joining together at the left side of the second photo. 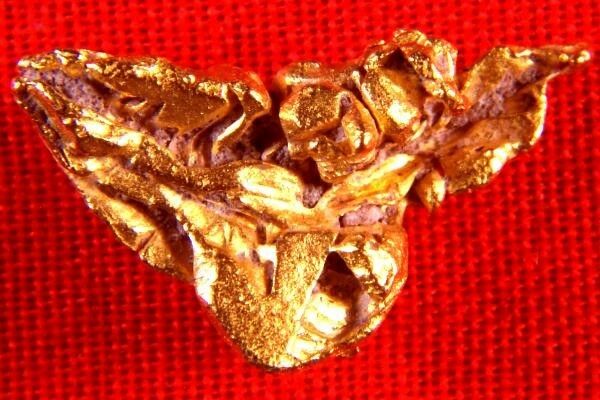 It is very rare to find natural gold nuggets with such varied shapes and characteristics, all in one nugget. To find them for sale is even more rare. This nugget was purchased directly by me from a man who buys them from the Venezuelan miners who make their living recovering these gorgeous gold crystals in the jungle. 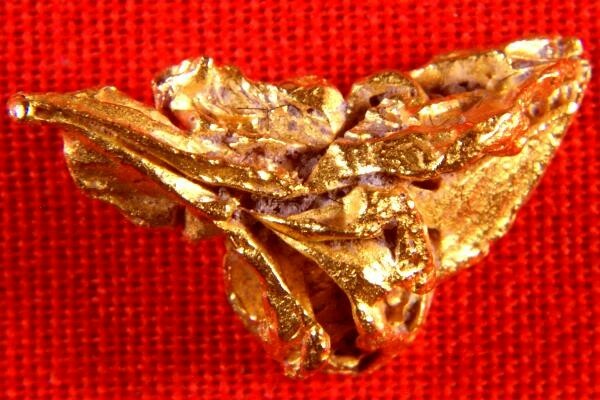 This beautiful gold specimen is 5/8" (16 mm) long, very fat, and weighs in at 32.8 Grains (2.13 Grams).